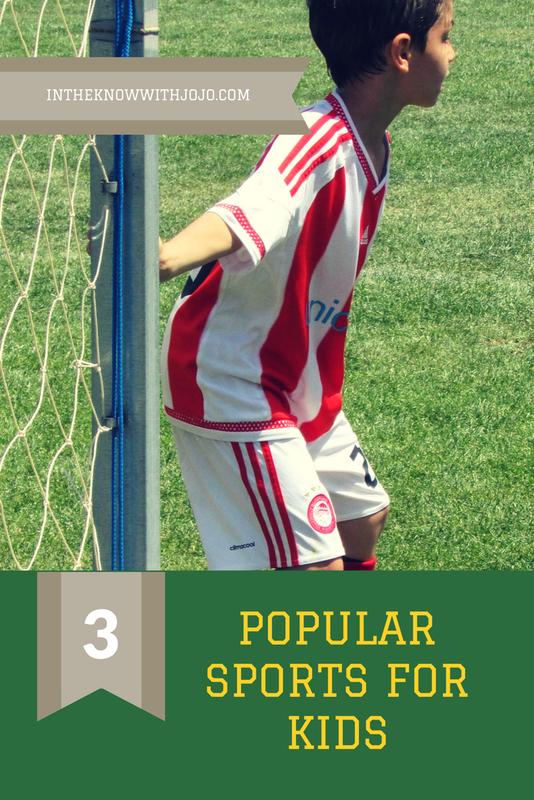 Are your kids excited for Dispicable Me 3. 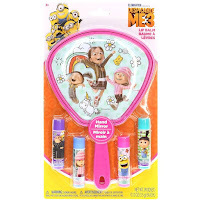 I know mine are and Townleygirl has some of Despicable Me 3's hottest new products perfect for gifts this year. 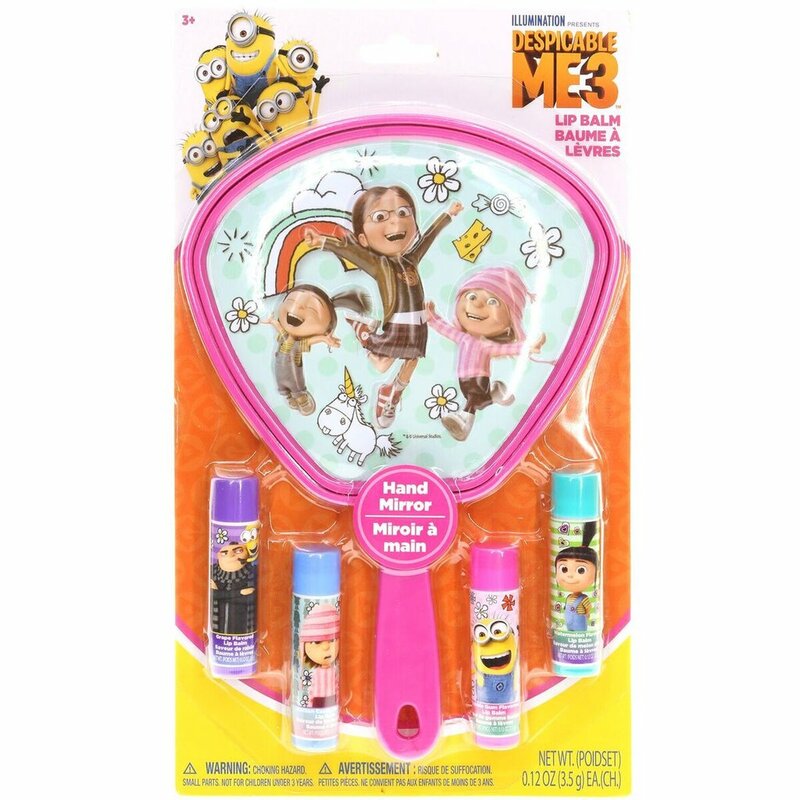 Are you considering the movie Despicable Me 3 it just came out June 30th! 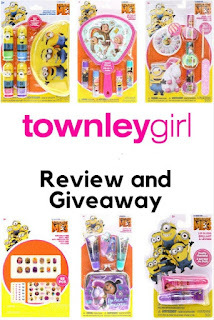 Townleygirl's offers unique gifts for girls and boys! They have character lines that include The Avengers, Beauty And The Beast, Cars, Despicable Me 3, Disney Princess, Elena Of Avalor, Emoji, The Emoji Movie, Finding Dory, Frozen, Minnie Mouse, Nightmare Before Christmas, Play-Doh Bath, The Secret Life Of Pets, Tangled The Series, TownleyGirl, Trolls, Tsum Tsum! 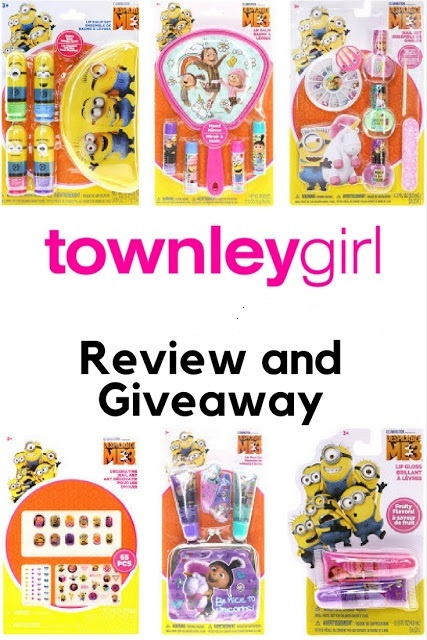 We loved all of our amazing Townleygirl products. Sierra always goes wild for Townleygirl. She is two and it is perfect for her! 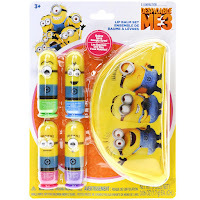 If you are looking for the perfect gift set check out all of these great lip balm and lip glosses from Townleygirl. 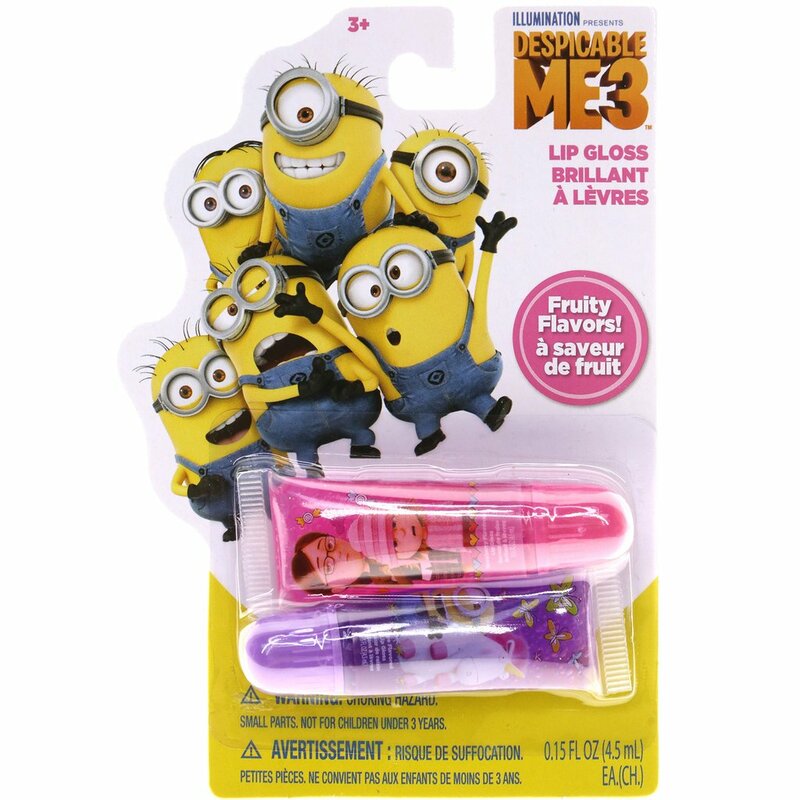 The lip gloss sets includes two lip glosses colors and flavors include rose strawberry and purple grape. The other lip gloss set includes two lip tubes and purse lip gloss colors and flavors include green watermelon and purple grape. 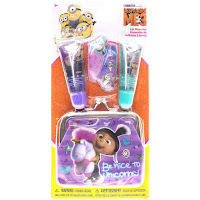 The lip balm and mirror set includes assortment of four lip balms and bonus mirror lip balm colors and flavors include purple grape, blue cotton candy, rose bubble gum and green watermelon. 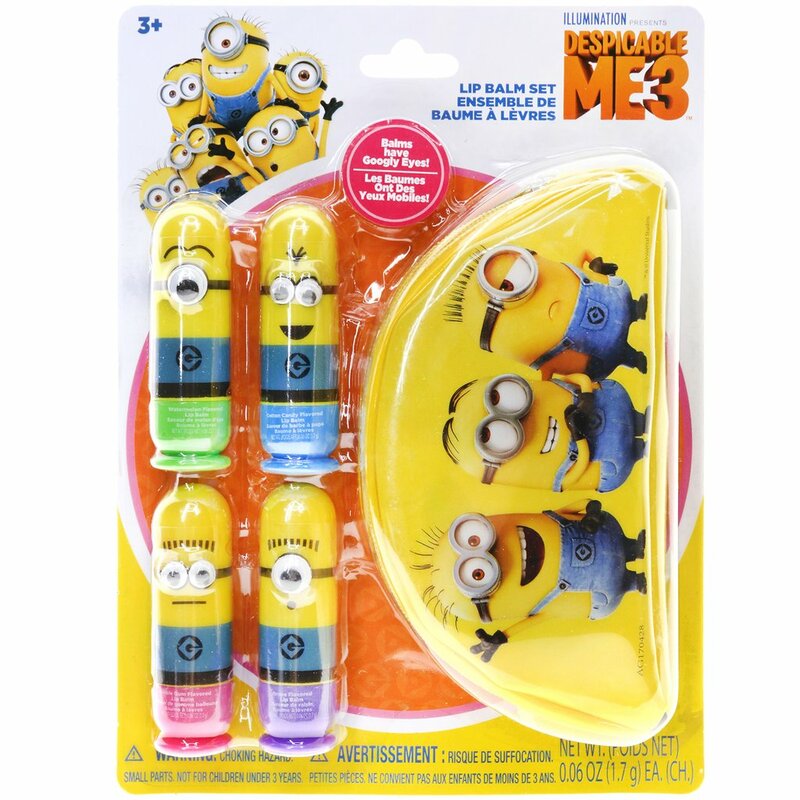 The lip balm and bag set includes assortment of four lip balms (shaped as lip sticks) and one bag lip balm colors and flavors include blue cotton candy, purple grape, rose bubble gum and green watermelon. 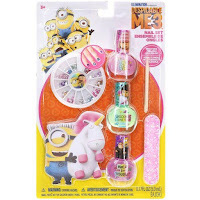 Townleygirl has an amazing Despicable Me 3 Beautiful Nails Set that comes with a assortment of 3 beautiful nail polishes, nail gem wheel, nail file and wood stick polishes are water-based, non-toxic, peel able and bubble gum scented polish shades include peach, lavender and apple green. 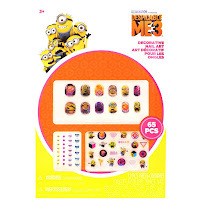 The Despicable Me 3 Nail Art Collection is amazing! 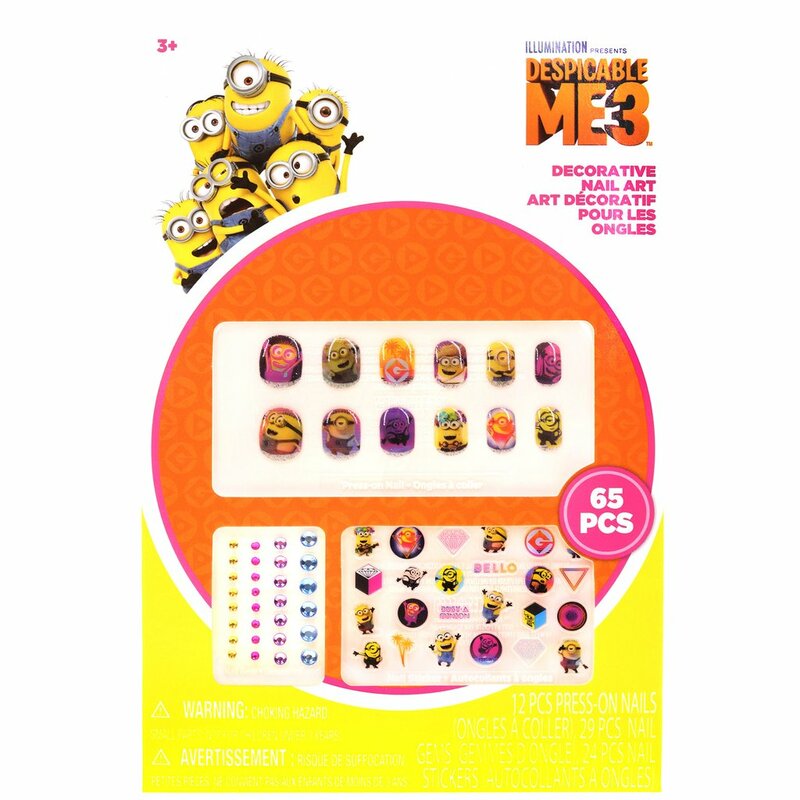 It has twelve press on nails, one sheet of nail gems, and ones sheet of nail stickers. This would be for my granddaughter.. I love to surprise her. I would like to win for our girls. I would like to win this for my daughter. She would love that. My daughter would adore this set! I want to win for my cousin! I would love to win this for my granddaughter. She'd love it! I want to win for my neice. I'd like to win this for my oldest granddaughter. Thanks. I would love to win it for my girls. I would love to win this for my young niece, Lily. i want to win this for my daughter!! This would be perfect for my daughter. She loves Despicable Me. I'd love to win this for my niece, Ayala. She'd be thrilled. Thanks. I would love to win for my niece. We loooove Despicable Me and the Minions. I'd love to win this for my 11 year old daughter. It would be for my granddaughters. 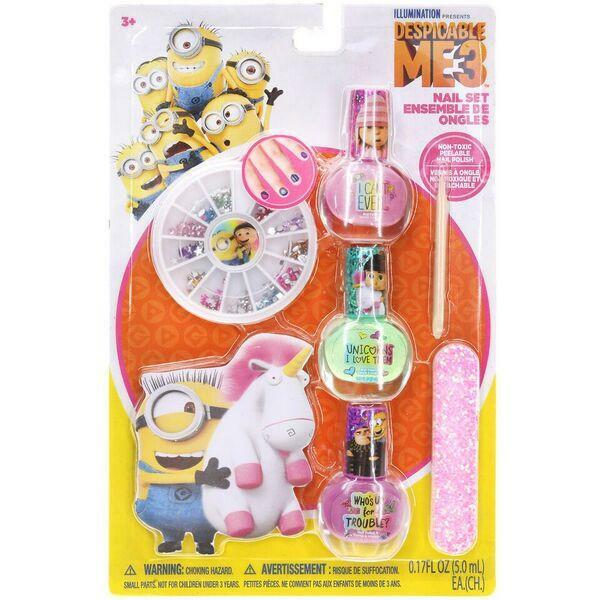 I like all kinds of lip balms, but I'd share the nail polish and makeup with my niece.